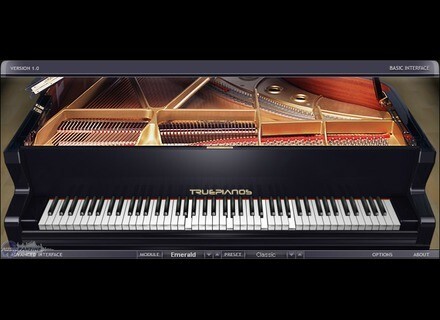 4Front TruePianos is a VST that simulates a deep piano sound. What Do I like most about it, is the fact that it doesn't require an advanced installation and high cpu resources. Another great feature of this program is that you can visually see the notes that are active, also the fact that you have different setups to choose what kind of sound you would like to incorporate in your mixes, a deeper, classical music kind of sound, or a lighter one, most found in pop/ rnb and hip-hop songs. Another special thing about this product, is that all over the range provided by it, it sounds constant, on the market there are some piano vst that sound good only in high range, other just in lower ranges, and they would work great for basses, but in many cases you want a more fuller sound all over the ranges. Precision and quality of the sounds is incredible, one of the few high-quality piano vst on the market, I enjoy working with this program and create a nice rich yet natural piano sounding. This vst is used world wide , I have some friends that use it in their studios, it's easy to use, fast, provided great sounding and also doesn't require a very powerful machine, it's pretty perfect. I've tried several models but I stuck with this, check it out, it's fast and has a nice tone. Knowing what I know, I'm quite sure that I would make the same choice over and over again, because as I said, it provides a consistent quality of tone all over the range, the overtones sound good, even the diminished chords sound pretty natural which I never encountered in any type of piano vst. It's worth the money and even more, search for it and buy it. The piano sounds that are from 4Front at first didn’t seem appealing to me because I was so use to using so many cheap plug in piano’s in my tunes. But once I really had the chance to listen into them solo before adding any other instruments to them I was amazed. 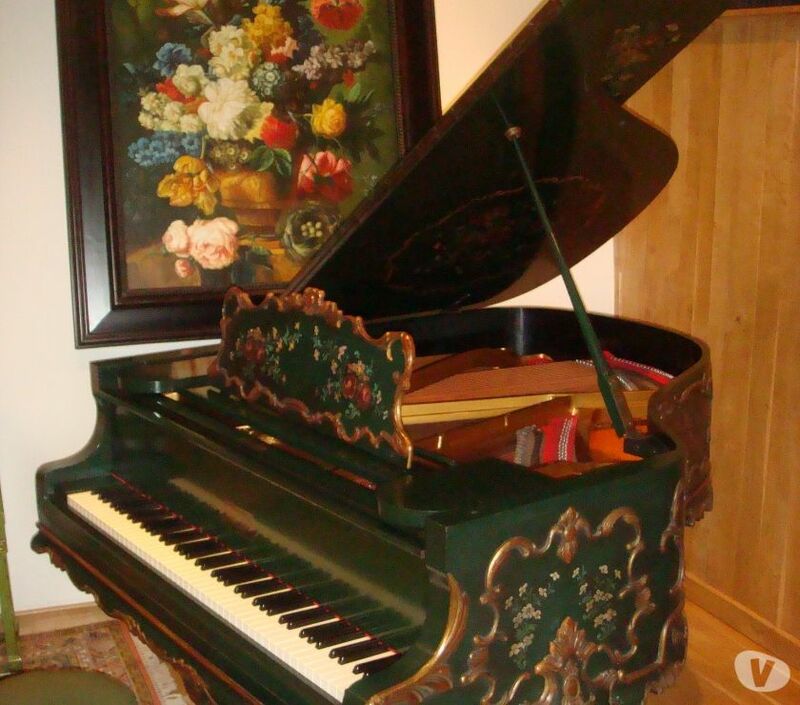 They pianos are better than they are on almost any of my boards , and these is just a virtual instrument. One of the great things about it is that you can use it stand alone and don’t have to open up your sequencing software or daw to use it. So if you just want to mess around with the piano or even practice on your playing then you can just open it right up from your desktop and don’t need to have anything else open if you arent going to sequence what you play. Very easy to install and its not that big of a vst at all. It only took a few minutes to load up and install and it hasn’t caused any problems or system errors yet. I do not use it that much just when I want some real true authentic piano’s in my recordings. I think its great and its something that we should all have, if you are into using piano into your music you will want to get this but if you want to just have it to learn the piano or teach the piano or just play ten make sure yo have a great midi keyboard to use with it, because whats the point in having the piano sounds if it feels like your playing a toy piano from Toy’s R Us? You want a nice midi keyboard with after touch and some weight to the keys. 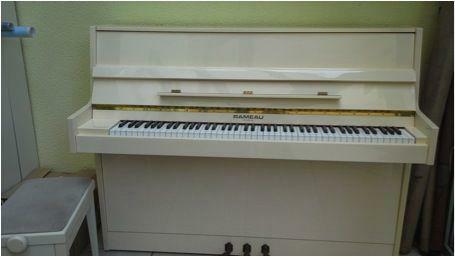 Or even a full 88 key midi keyboard and 4 Front True Pianos you might feel like you are sitting at a baby grand. Its worh the buy. I've been using the 4 Front True Pianos for about a year and I have come to know it as one of the best virtual acoustic pianos out there. It was easy to install and doesn't take to long to figure out what everything does. The interface is laid out smartly and everything is right there for you to get a ton of different types of acoustic piano sounds. Having all the presets there is a huge plus as there are a ton of great pre made sounds in this. I run this virtual instrument both as a stand alone piece of software and in Apple Logic. It always runs smoothly for me when I run this on my Mac Book Pro that has a 2.2 Ghz Intel Core 2 Duo processor and 4 GBs of RAM. While I always like to use a real acoustic piano when I can, if that is not an option having True Pianos is a huge asset as it give me a great sound in the box that I can control via a MIDI controller and edit like I would MIDI. It also has a built in metronome and the ability to play audio files that you can play along with. The price is reasonable, especially if you buy this as part True Pianos bundle of virtual instruments. The virtual piano in the interface sets the scene for a real simulation of an acoustic piano. I love the sound quality of this pedal and the price is definitely worth it for what I am trying to do. It is versatile in terms of the different piano sounds and has always run faithfully for me. Overall, I definitely recommend True Pianos for those who want a great sounding piano inside of the box. It will also work on almost in DAW that you use! DJ Henny's review"Great piano VST"
This VST works brilliantly on most setups. I've used it on a laptop with a single core pentium processor, a low end desktop PC (1.8GHZ pentium and 1gb ram) as well as my current (2.5GHZ Core2Quad & 4GB ram) and it runs equally as brilliant on both. The install is painless and extremely simple and the layout of the VST is great. All the presets are separated into modules that have images representing them. True Pianos is a very very stable VST from my experience. I have had no crashes at all coming from it and it has worked with expansions added into it too. You can download many expansion packs for this plugin. I have used this plugin for most of my music and I would literally be nowhere without it. I have used this plugin in both FL Studio 9 and Ableton Live, and encountered 0 problems with it. The piano presets taht come with this plugin are brilliant and are better than any other VST i've used of such a small size. They are all industry standard piano sounds. The only problem is some third party expansions have not worked as well as the original presets, and don't come categorized. There is great customization options available within the plugin that allow you to customize the piano sound that you want to achieve. The sounds can be effect heavy but they are easy to disable from the interface. The only downside to the actual sounds are the lack of modelling oppurtunitys, so people who want to tweak sounds heavily would probably not have much joy from True Pianos. This is expected though as it is not a synth based plugin, but is a sample based plugin. Knowing what I do after purchasing, I would not hesitate again as it is an integral part of my production.